Where there are apples, there are blackbirds. 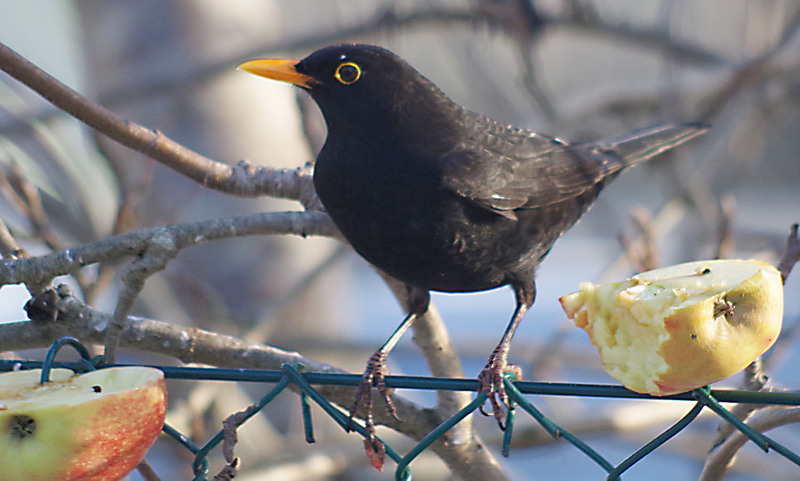 Most of them eat the apple as if from a bowl – the half one here has been eaten on by a fieldfare. Hedegärde, Uddevalla, on February 9, 2018.